Motorcyclist arrested for reckless driving in Vero Beach. VERO BEACH – They say you should always watch out for motorcycles in Sebastian and Vero Beach. 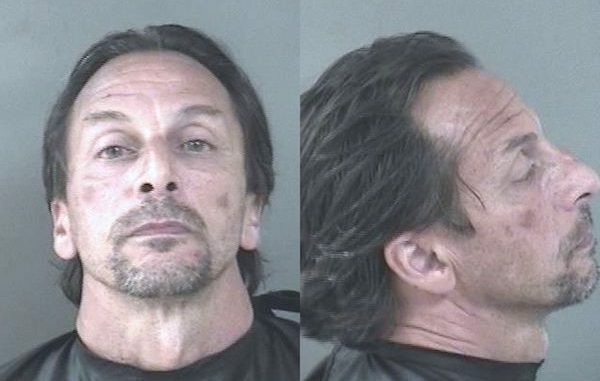 One motorcyclist was arrested on charges of reckless driving and resisting arrest after cutting several vehicles off in Vero Beach, including a deputy, as he traveled. James Tullar, 48, was riding extremely close to the bumper of an Indian River County Sheriff’s vehicle before changing lanes and cutting another vehicle off on 11th Avenue. Tullar was then seen using the center divider to pass several cars before reaching the red light at 20th Place. At that time, calls were received at the Sheriff’s Office about the motorcyclist. “While traveling, the defendant would be in excess of 70 to 80 mph while [consistently] cutting vehicles off,” according to the deputy. While running the tag, the deputy found Tullar didn’t have a motorcycle endorsement, and a traffic stop was initiated. Tullar pulled into the Citgo gas station and “bladed himself” with a large pocket knife. The deputy noted that at no time were any vehicles chasing Tullar. Two separate callers also reported Vero Beach motorcyclist’s reckless behavior. Tullar was arrested and transported to the Indian River County Jail.